I have tried oodles of delay pedals over the years and have had some fun with them but never found one that I really liked. Mostly because they did not work terribly well or sound very good, so they ended up being more trouble than they were worth. But, the T-Rex Replica delay pedal has made me a believer in delay pedals again. The Replica is made by adults in Denmark, not by little kids or giant robots in a third world country. It is very sturdy, and it is not as big as these pictures would lead you to believe. It measures about 4” x 2 ¼” x 5”, and it weighs about 11 ounces. On the face of the unit there are four switches: ON/OFF, Subdivision, Brown and Tap Tempo. There are also four knobs: Volume, Tempo, Echo and Repeat. On the sides of the Replica you will find ¼-inch Input, Direct out and Output jacks, as well as a 5-pin DIN MIDI in and a 2mm power jack. You can probably figure out what the knobs and jacks do, but a little explanation of the switches may be needed. The Subdivision switch toggles between quarter note and eight note triplets. 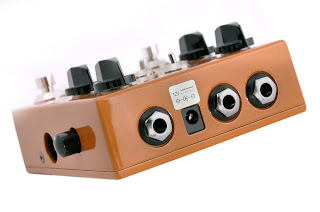 The Brown switch provides a high-cut filter that makes the Replica sound like a tube tape echo. 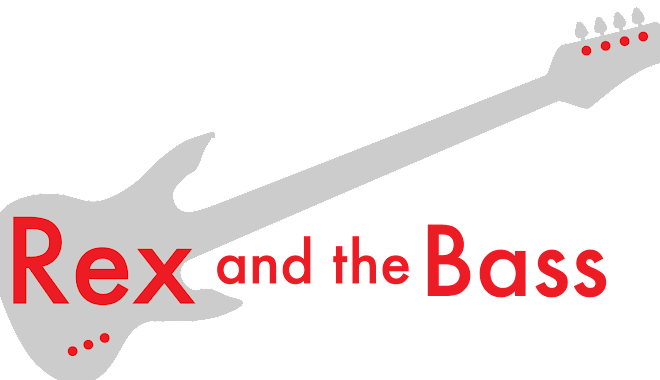 The Tap Tempo switch might be the coolest feature of the unit, in that it allows the user to follow the beat and tap-in delay times with the footswitch, and track the changes with an LED. This is very valuable for having the delay stay in time while changing tempos on the fly. The Replica is a digital delay, and it uses a 24-bit Burr Brown AD/DA converter. This allows up to 2000ms of delay (that is 2 seconds for us normal people), and it samples at rate of 200kHz, which is ungodly fast. It has true bypass switching which seems to actually be a true bypass of the input signal -- it comes out just as clean as when it went in. 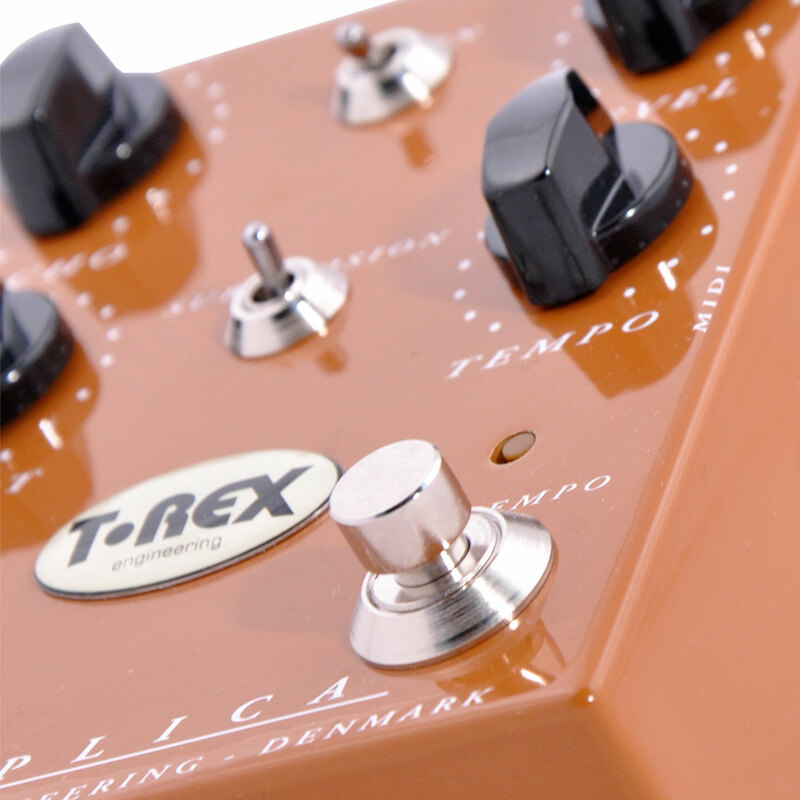 And though this pedal is digital, it is not a one-trick pony and it sounds marvelous. The delay is clean all the way up to two seconds, and it can sound hi-fi or fat and sassy like a tube preamplifier. It really is the best of both worlds, providing either a digital delay or a tube echo tone. In all of this it does not mask the original tone, but enhances what is already there. The knobs and switches are easy to figure out an manipulate to provide just the tone you are looking for. There is no added noise from this unit and the Replica would be equally at home on the stage or in the studio. 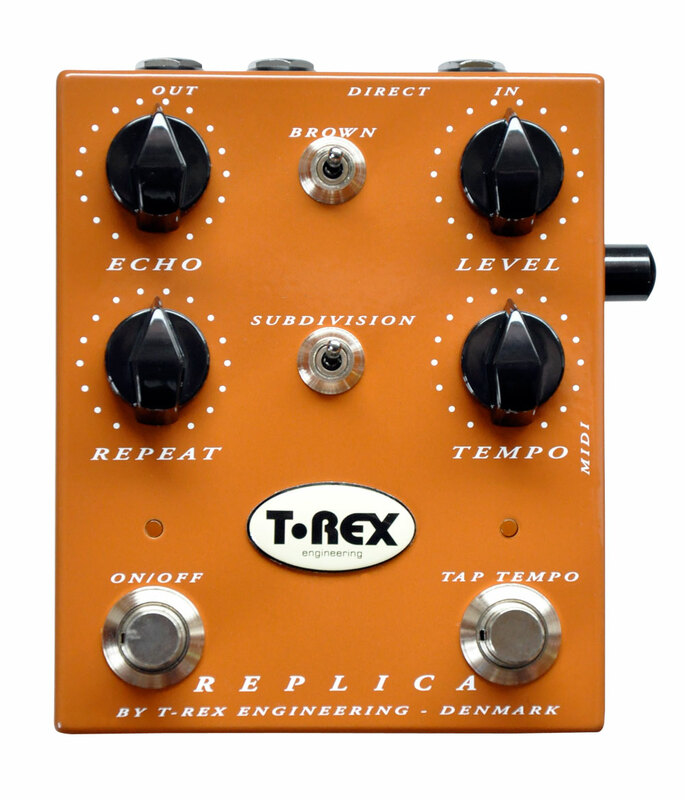 In other words, the T-Rex Replica is a winner, and the best delay pedal I have ever used. An, of course, it is priced accordingly. It has a list price of $539 and a street price $399, so start saving now, or maybe you should ask Santa Claus to bring you one for Christmas – it is just that awesome. Nice. I got the TC Electronic, Flashback a few months ago. I really like it, although the Tap Tempo is kind of hard for me to pull off when I am playing.